“Note: This establishment does not accept credit cards, debit cards, or national currencies. This is the statement on the brochure at MoMA Studio: Exchange Café, a social space dedicated to exchange-based practices that questions notions of reciprocity, value, and property through shared experience. Instead of paying for tea, milk, and honey with legal tender, café patrons are invited to create a resource-based currency, creating a network of exchange within the studio. Currencies made at MoMA Studio: Exchange Café are the only means through which tea, milk, and honey may be purchased by café patrons. Organized in collaboration with Brooklyn-based artist Caroline Woolard as part of the Department of Education’s Artists Experiment initiative, the space features an interactive archive of exchange-based art and a library of ephemera and books. Visitors are invited to contribute to the exchange archive by writing down personal memories and experiences, local myths, or forgotten histories of exchange. 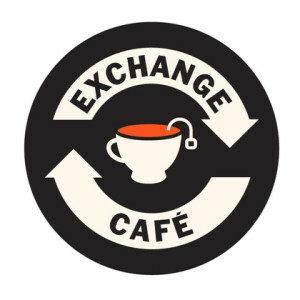 MoMA Studio: Exchange Café: honoring the power of reciprocity.